Thinking of "SmartSizing" To A Different Lifestyle? SmartSizing is when people reach a point in their lives that they would like to live more comfortably. If you are considering SmartSizing into a better or different lifestyle, please review this very helpful information. for the next phase of your life. However, it can also be stressful having to move when you aren't ready. You may be unable to take care of your home, or it could be another issue that is causing you to move. As an Accredited Senior Agent (ASA), Blake is a specially trained professional, equipped with the skills and knowledge to help the senior and mature market deal with all of the details involved with moving to a different lifestyle. He understands that each person has unique circumstances. To help families create the best senior living experience, he will advise and help you understand what your options are for SmartSizing to a different lifestyle. As you may know, when SmartSizing there is much more than just selling or buying real estate. It is about careful, compassionate planning for your future residence and how best to get there with as little stress as possible. 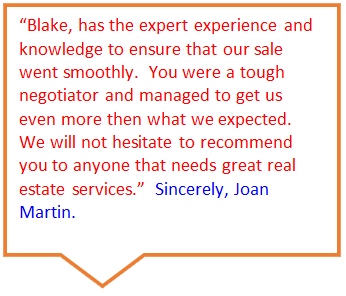 With over 30 years experience & understanding of the real estate market, as an ASA Blake will provide you with the knowledge, expertise and resources to help you SmartSize & move with ease. He understands that considering a move as a senior can be a difficult and emotional process. Blake's caring team has the experience to help families through this process, and he is available to help you find the solution that works best for you and your loved one. 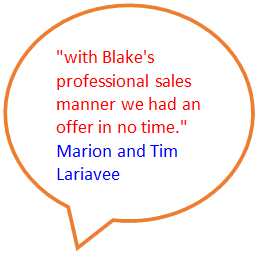 Blake will help you avoid the pitfalls associated with such a move by reviewing your future living options, the pros & cons of moving versus staying and many other aspects associated with SmartSizing.